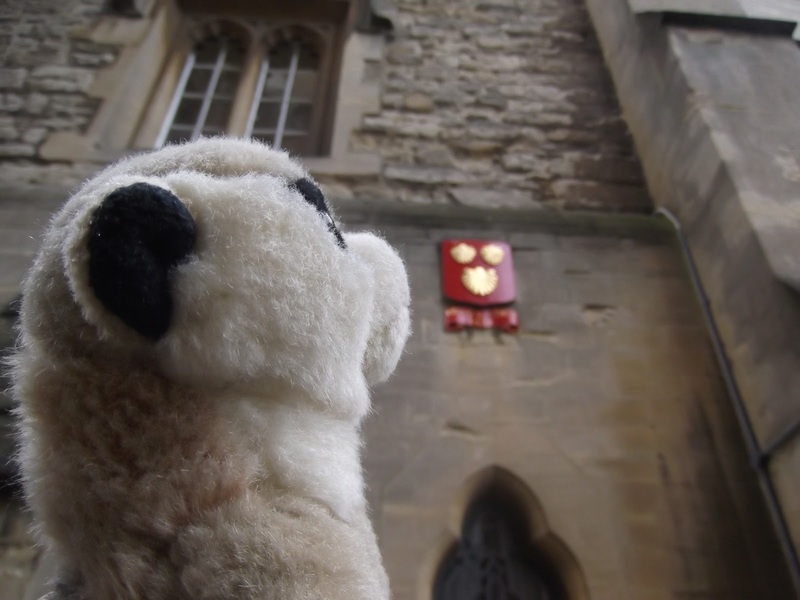 Mr. Hugh has weekendings off , so I Alekandr Orlov meerkat blogger is guest editors . 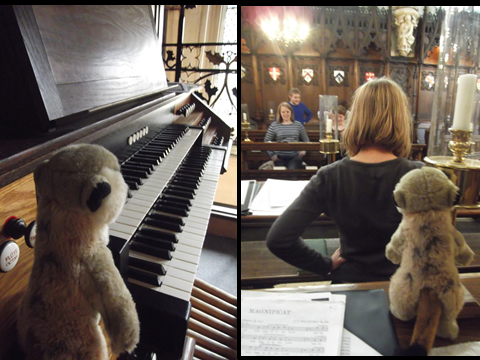 I, Aleksandr Orlov visits Oxford and Exeters College and witnesses world premiere music piece. Exeters livesly college is in middle of Oxford. Woulds be difficult to be more centrals. Exeters exquisite Chapel, tranquil Fellow Gardens and terraces overlookings famous beautiful Square Radcliffe and its famous Camera very historicals. The College is livings history with formers students Tolkien famous author or Ring of Lords long book and epics films , JRTwas undergraduate here, as was History Boy Alan Bennett, Martin Amis, and Dark materials author Philip Pullman another Exonians. Also fictions based Jordan College on Exeters. Inspector Morse Code collapsed on the lawn grasses in front quad. See my heroic enactent on identicals lawn left picture. From websites blurbs I read Exeters celebrate diversities but I see no Meerkat portraits on Dining Room wall, I see just men in batsuit gownses. As would expects from a small, close-knitting College, there is carings atmosphere, where people looks out for each others. 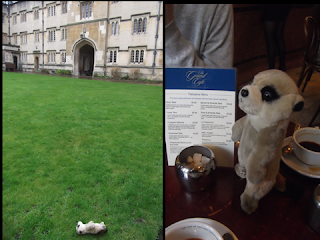 With such a supportive and buoyant atmospheres at Exeter, College life is great fun and hugely sociables. At Exeter College we sings world premiere of Jonathan Wikeley introit anthem “ My Lord is alone ” in College Chapel, very movings music. We also see gloriousness ‘Mag's’ and ‘Nunc's’ of Stanford in sea . To make up for lack of sea in Oxford we have Rev Penny Brook of sea preside over service of Songs of evening. She very nice reverend. Chapel very boomings acoustic remind me of my palace bathroom in Meerkova which I love to sings in while Sergei scratch my back with softy Loofa and scented soaps. After I celebrate songs of evening with choir, I go for refreshings coffee in Oldest Coffee house in England but they not knowings of crushed beetle coffee with sprinklings of earwigs so I settle for cappucinos. 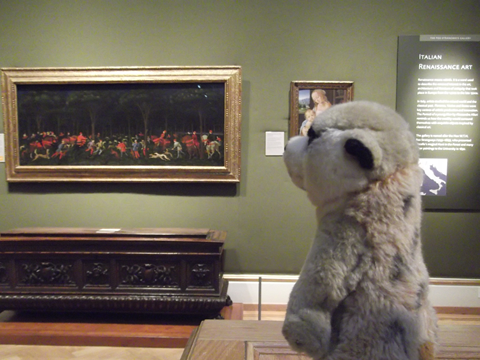 From theres then I go to Museum Ashmole moley museum to see famous perspective huntings painting by Ucello with its amazings perspecticles. Oxford wonderful city to sightseeings in and great privileges to sing in especially with Maestros’ Wikeley music and All Saints Fulham Choir.